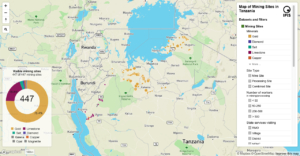 IPIS has undertaken an unprecedented mobile data collection campaign, mapping 450 artisanal and small-scale mining and processing sites in northwest Tanzania. This serves to improve the evidence based on the sector, and contribute to a balanced understanding of its nature, scope and impact in Tanzania. Mining is all over the news in Tanzania. Yet, the focus is predominantly on large-scale mining companies and their tax contributions. 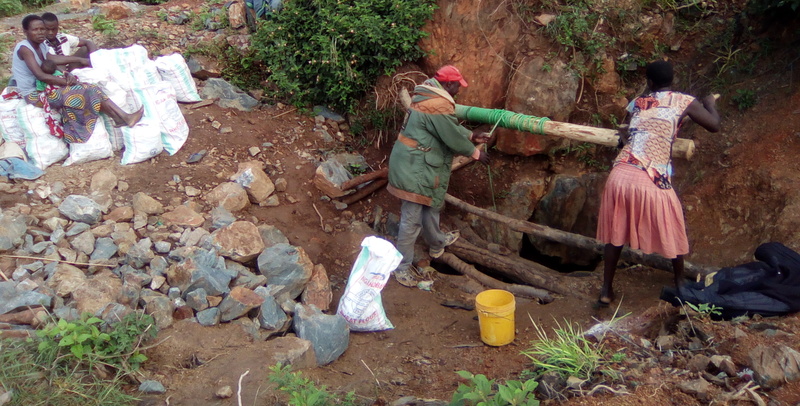 Artisanal and small-scale mining (ASM) is largely overlooked, and only makes headlines when serious accidents or conflicts with large-scale miners occur. Despite the importance of ASM as livelihood in many developing countries, data on the sector is rarely centrally gathered, stored and analysed. This is also a concern in Tanzania, where many statements on the sector’s overall nature, size and impact resemble back-of-the-envelope estimations. For lack of evidence, initiatives to support and regulate this heterogenous sector often struggle to grasp its complexity. In light of these concerns, IPIS initiated a mobile data collection campaign in northwest Tanzania. 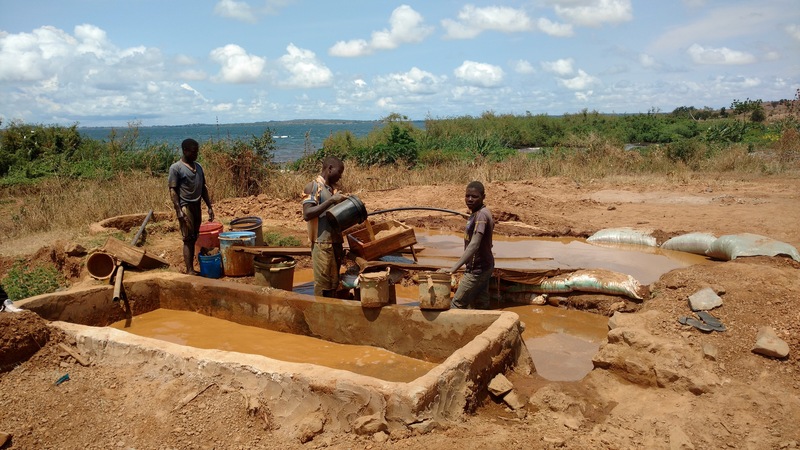 450 small-scale mining and processing sites were surveyed on the nature and scope of operations, working conditions, distribution of wealth, and health, safety and environmental impact. The bulk of these sites mine or process gold. Other important minerals in this area of Tanzania are diamonds, limestone and salt. The report provides a balanced mapping of worst and best case practices in artisanal mining in Tanzania. 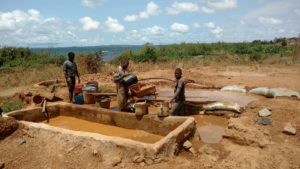 It addresses challenges of licensing ASM, its problematic safety record, gender and health issues and the alarming use of mercury in gold processing. The report also reveals the important – and often overshadowed – contributions of ASM. This includes considerable employment with decent income, wealth spill-overs to local communities and sizeable corporate social responsibility contributions. 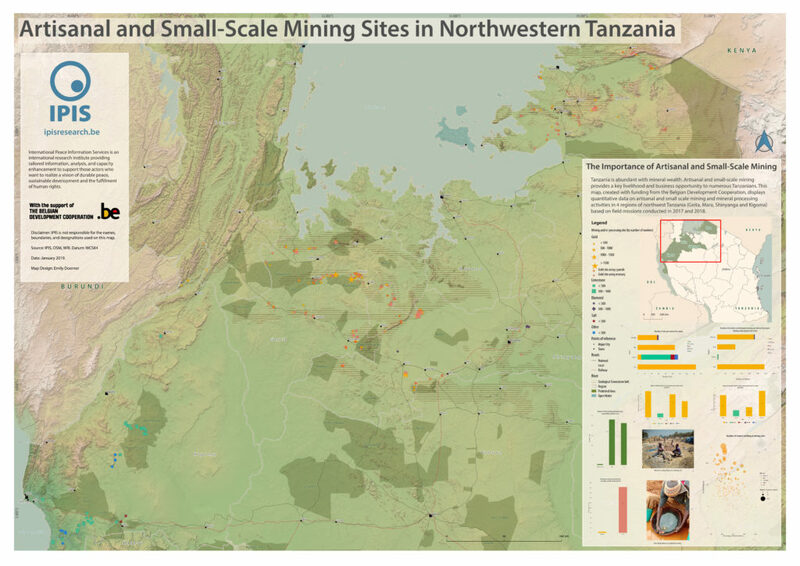 By making this data publicly available on an interactive webmap, as Open Data and through an analytical report, IPIS aims to contribute to a better and more balanced understanding of small-scale mining, its harms and potential in Tanzania. An interactive webmap provides more details and data on the 447 small-scale mining and processing sites visited.